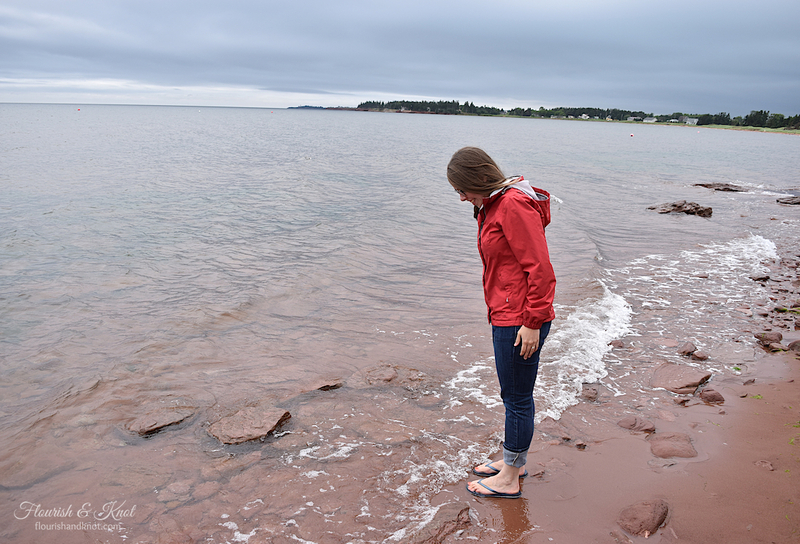 We’re back from our sea-filled vacation on Prince Edward Island. 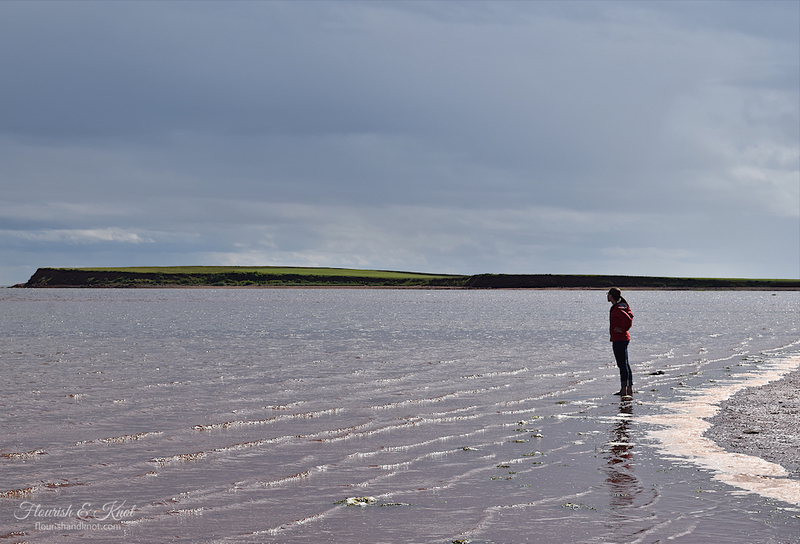 PEI is known for its gorgeous beaches, red sand dunes, green fields, and homey atmosphere; not to mention the amazing selection of entertainment and dining! We had it all… except for good weather. The weather wasn’t bad, per se, but it certainly wasn’t stellar either. Nevertheless, the clouds did nothing to dampen our spirits, and we thoroughly enjoyed our romantic vacation à deux. I’ll be splitting my re-cap of our trip into two posts. Today I’ll be talking about our accommodations, our dining experiences, and our sightseeing adventures. In part two of the re-cap, I’ll discuss the many inspiring artisans and antique stores we visited. There was just too much to write about in only one post! We had dinner at the Lunar Rogue Pub, which is in downtown Fredericton. We both had the fishcakes and topped off the meal with a delicious, homemade strawberry shortcake. It was a great meal! 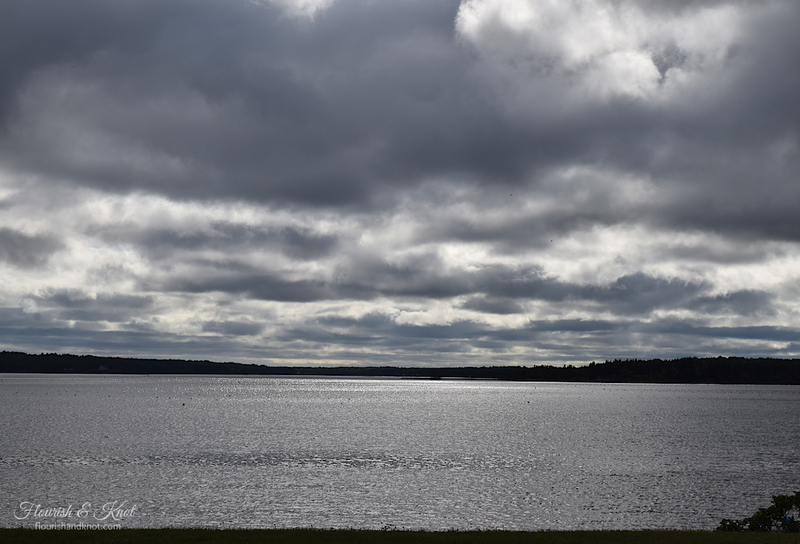 Before we left Fredericton, we took some time to explore the area. 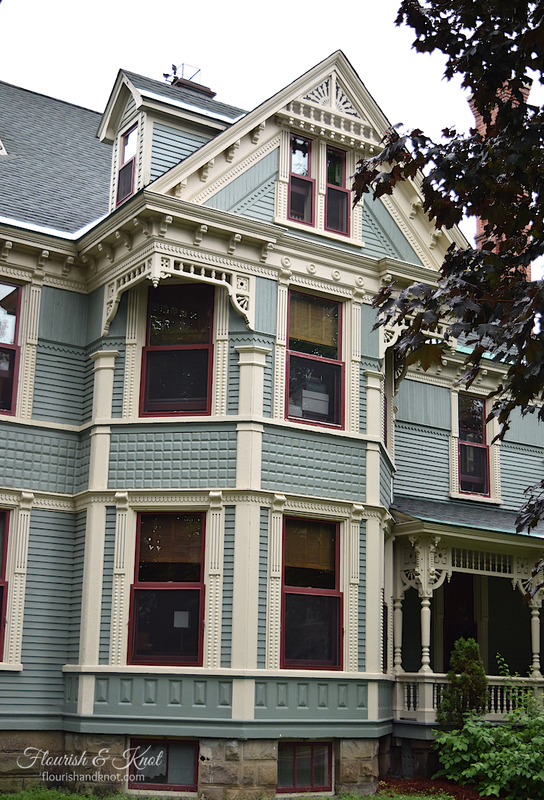 So many gorgeous heritage homes! You can see that the area is undergoing a major renaissance, as people restore these magnificent houses. I love the cheery pop of yellow against the grey-blue facade of this home. This one is definitely in need of some repair but you can tell what a proud Victorian lady she is! Can you tell that I was sort of obsessed with the doorways?! Wow. Just wow. Look at those mouldings around the windows! And that gorgeous gingerbread on the porch! 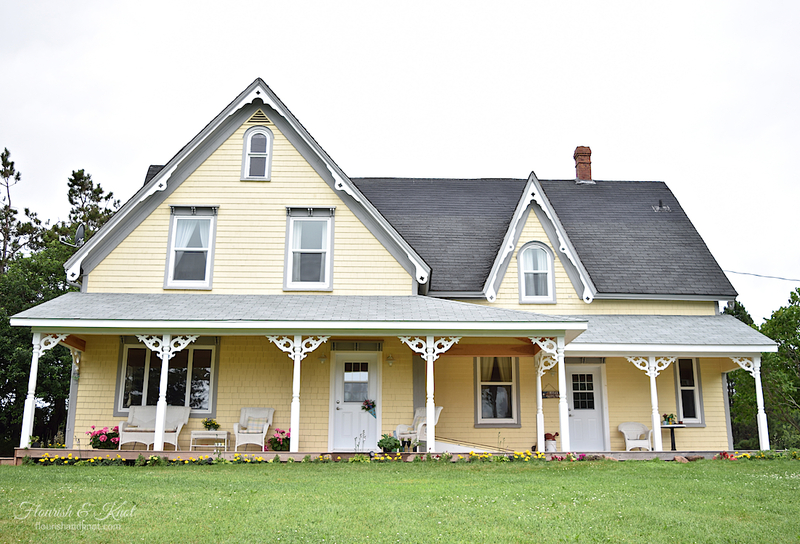 Our first three nights on PEI were spent in absolute comfort at the Old Millpond B&B in Clinton. 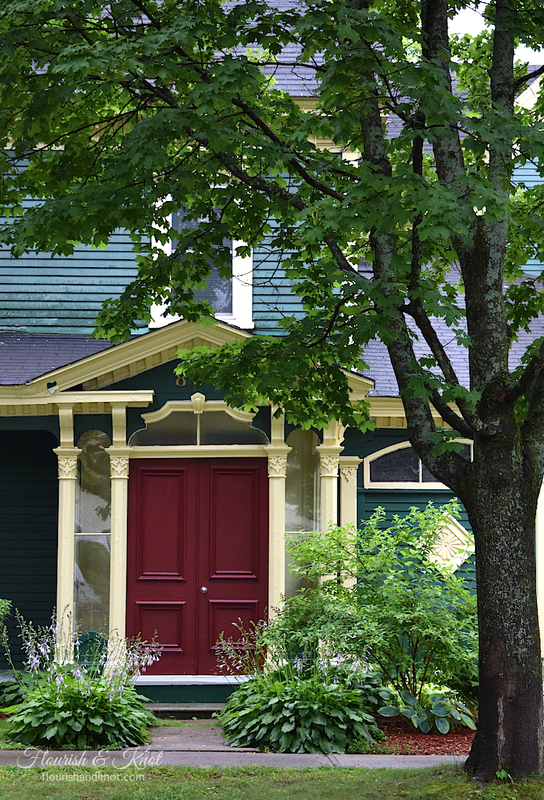 Clinton is in central PEI, though it is only a 15-20 minute drive from the Green Gables Shore. Our hosts, Lorna and Glenn, were gracious and welcoming, and their heritage farmhouse B&B was clean and beautifully decorated. The breakfasts were HUGE and really delicious! My favourite part was the cheddar and garlic biscuits. YUM! Erick and I enjoyed walking around their charming country property, which features a beautiful pond. It was the perfect places to snap a few photos. We went into Summerside to take in a bit of the Lobster Festival and were delighted to stumble into a performance by the dance-inducing Acadian folk trio Vishten. It was the perfect way to launch our maritime vacation! 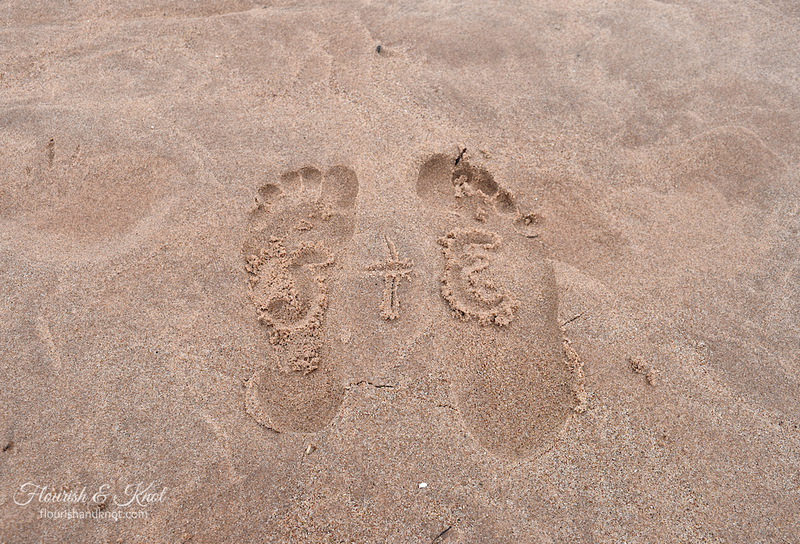 Our second day on PEI included a visit to Cavendish Beach. It was gorgeous: a beautiful sand beach stretching as far as the eye can see, framed on one side by the Atlantic and on the other by swooping sand dunes. Unfortunately, it was pretty cold and windy, so we weren’t able to enjoy the beach for very long. We still had time to enjoy a picnic and to snap some photos! We ate splendidly at local restaurants. The Sou’ West Bar & Grill was great: their seafood chowder has won awards and it really is worth the accolades! Sometimes chowders are a whole lot of fish and not a lot of any else… Well, not here! We were in heaven. 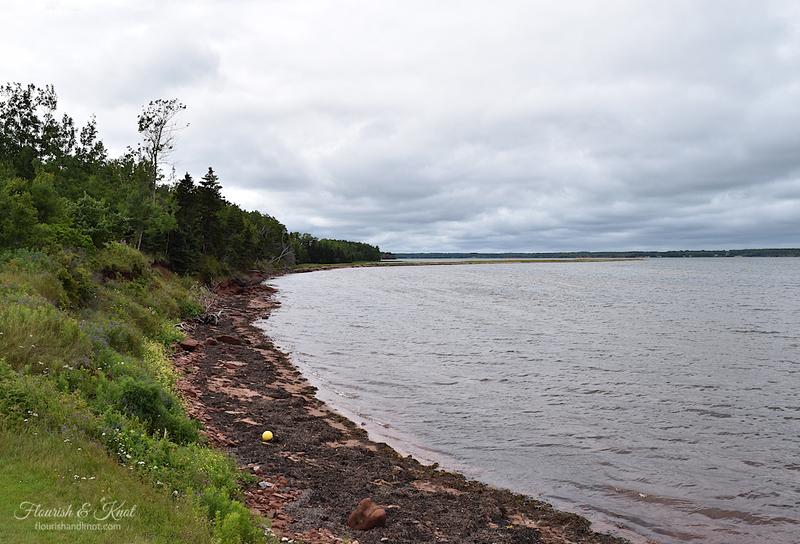 We took a drive down to the Bedeque area, and fell upon the lovely little Chelton Provincial Park beach. We had a great view of the Confederation Bridge, and really enjoyed walking along the red sand. 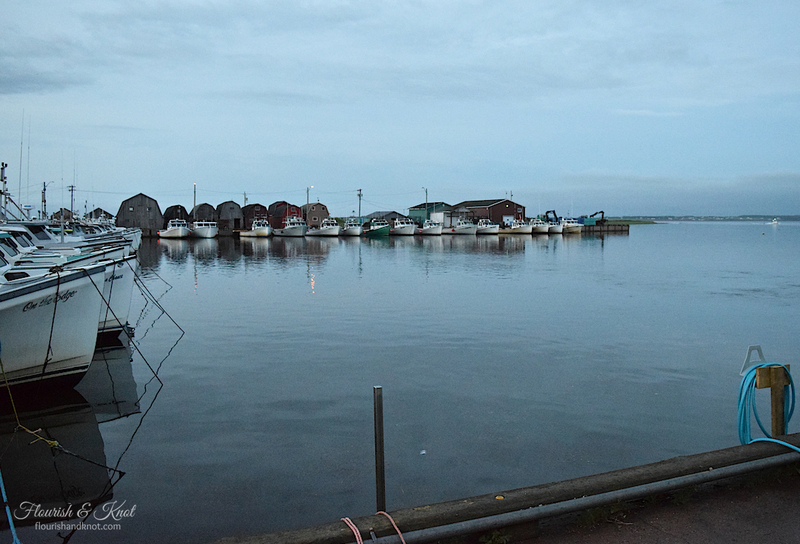 Our last night in the area was spent at the Malpeque Oyster Barn. We came for delicious oysters and were not at all disappointed! They were fresh and just scrumptious. We both had main courses as well, but nothing compared to the oysters. In fact, we skipped dessert in favour of another plate of oysters! 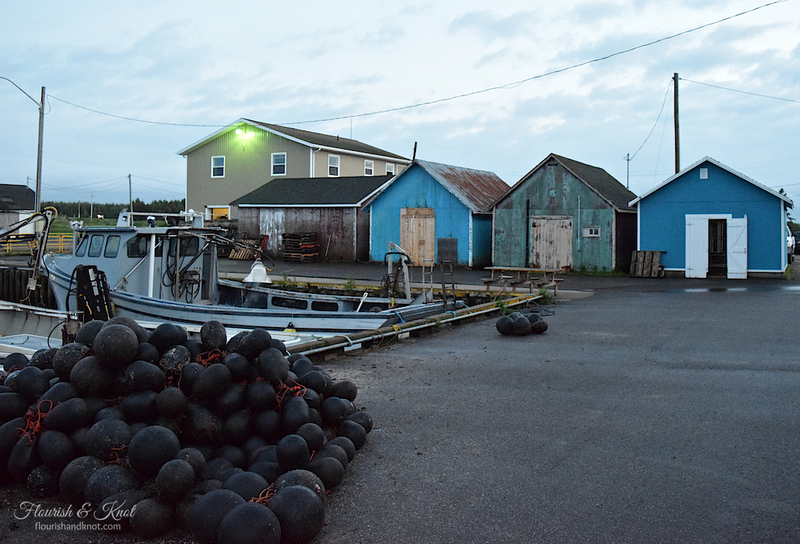 Malpeque itself was beautiful at dusk. It is really out of the way, but well worth a drive. Everywhere you look is like a painting! Our next two nights were spent in picturesque Georgetown, PEI. Georgetown is located towards the Eastern side of the island, on what they call the Points East Coastal Drive. 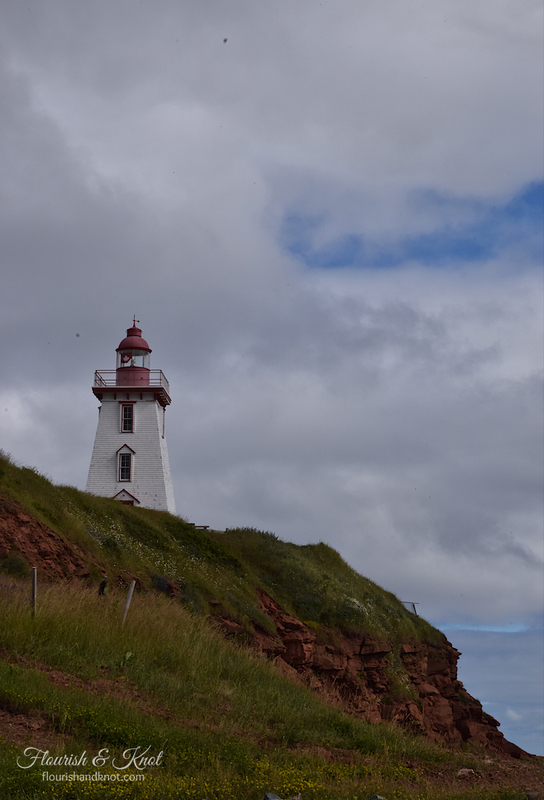 I have to say, we actually followed the drive on our way to Souris (more about that later), and were somewhat disappointed. 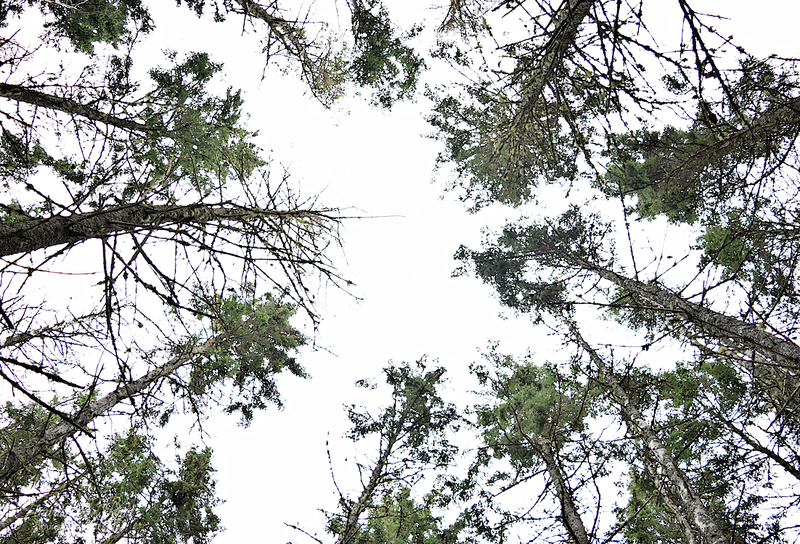 Until you get quite far up the coast, it really is just trees and trees and more trees… But we found some great gems along the way to break up the expanse of green! We stayed at Sea Song B&B, just 5 minutes outside of Georgetown. It was a breathtaking property, right on the ocean. Our hosts, Wanda and Hilary, were very friendly and welcoming. Erick and Hilary really enjoyed talking fishing over breakfast! The sun did come out for our first evening in Georgetown, though! We enjoyed a warm and sunny walk through the historic harbour area. This little heritage home by the sea caught my fancy. 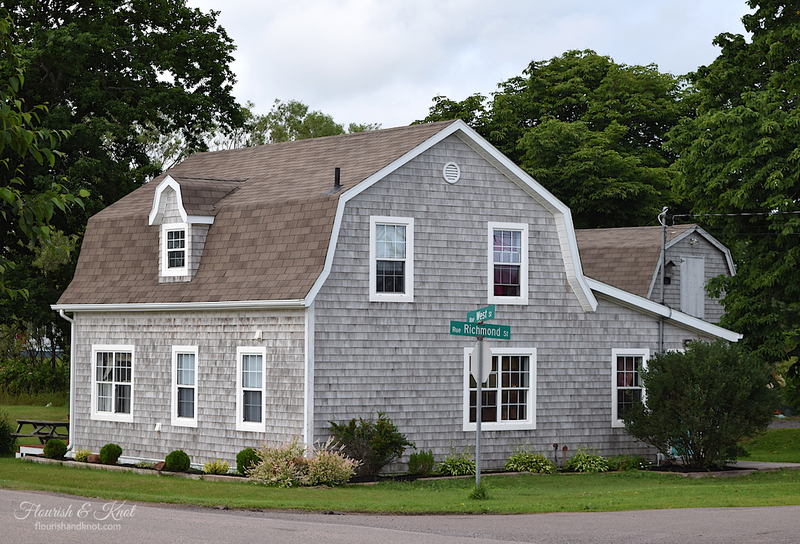 I love the Gambrel roof on it and the grey cedar shake siding has obviously been recently restored. You can’t really see it in the photo (and I didn’t want to get caught up for trespassing ha!) but the door is turquoise. Turquoise, I tell you. Why hello little dream house. We ate both nights at Clam Diggers Beach House & Restaurant in Georgetown. The food was delicious, and I really enjoyed the crab cakes with chili cream. Erick had their seafood stew with lime and coconut and loved it. One night we split the Beach House Platter, which included haddock, scallops, and clams. The fried clams were definitely the highlight – so rich! The second night we splurged on the Seafood Platter, the star of which was the snow crab and lobster. We were definitely living the good life! 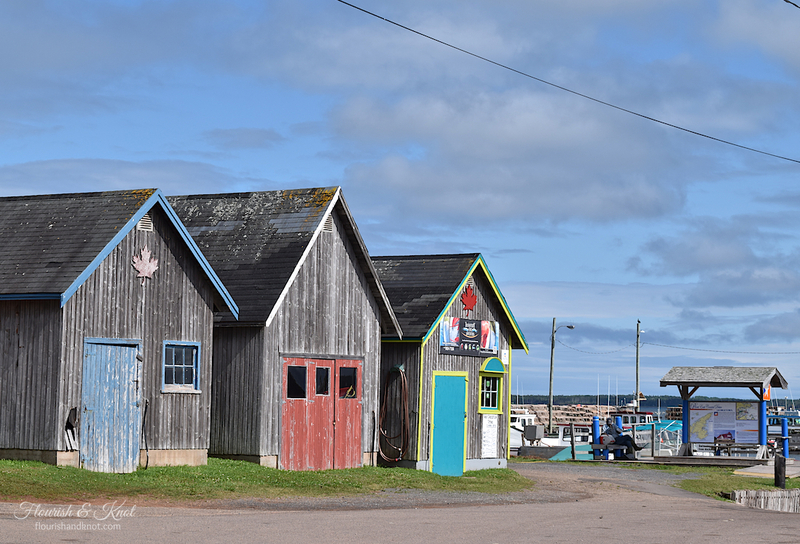 Our second day in the area took us up to Souris, a beautiful seaside town with plenty of artisans, shops, and restaurants. We ate at the Lobster Shack, which is a little beach-side restaurant that – obviously – specializes in lobster. Their lobster roll was the best we had (and believe me: I sampled quite a selection). 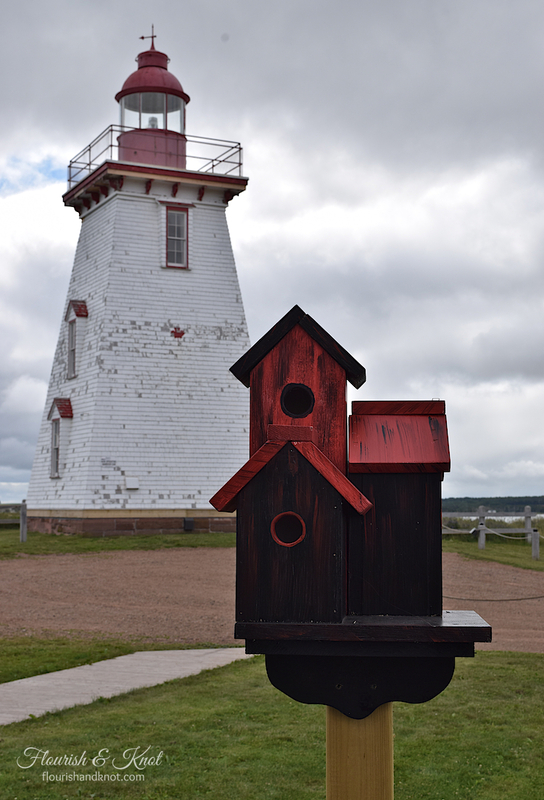 While Erick explored the fishing possibilities from the Souris wharf, I took a walk up to the historic lighthouse. What a stunning view it offers! We were just a day too early for their Sea Glass Festival, but I could them setting up their tents and booths as I snapped photos of the beautifully weathered lighthouse. 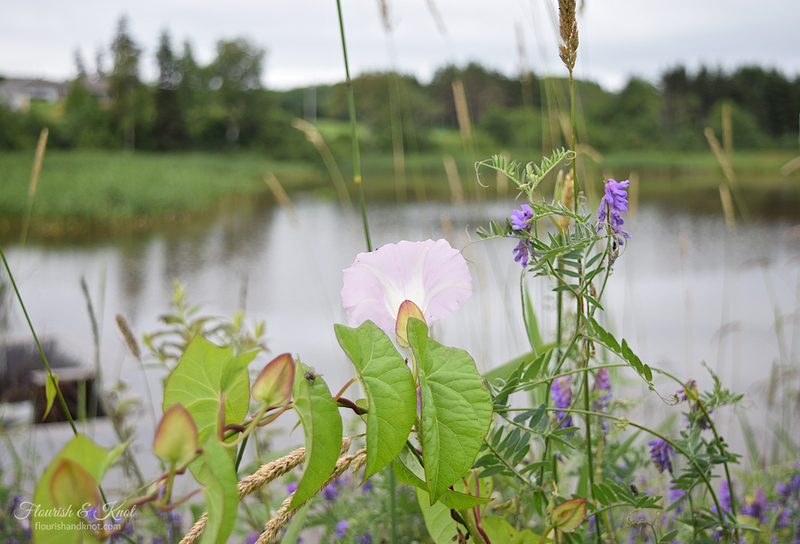 It would have been lovely to take in the festival, but we were headed to Charlottetown the next morning. By the way, there was a bride and groom taking their wedding photos near the lighthouse while I was walking around. What a gorgeous location for photos! I hope they turned out well. 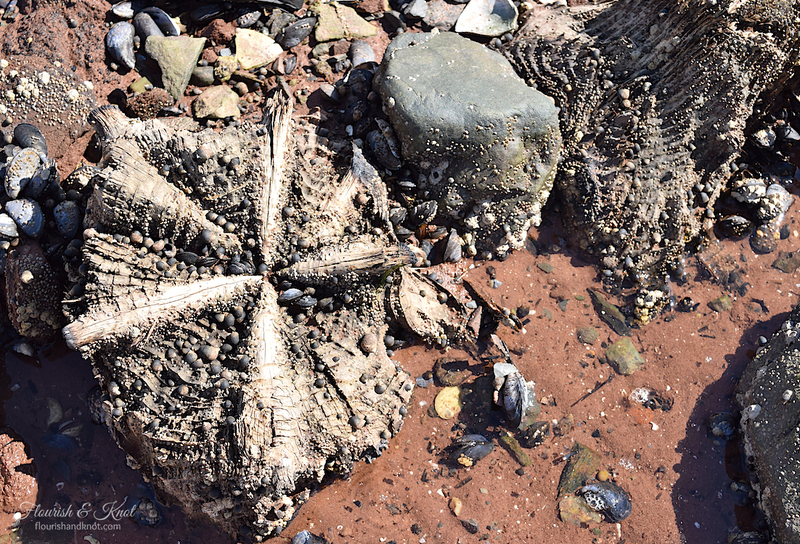 Our final two days on the island were spent in the Charlottetown and Red Sands Shore area. 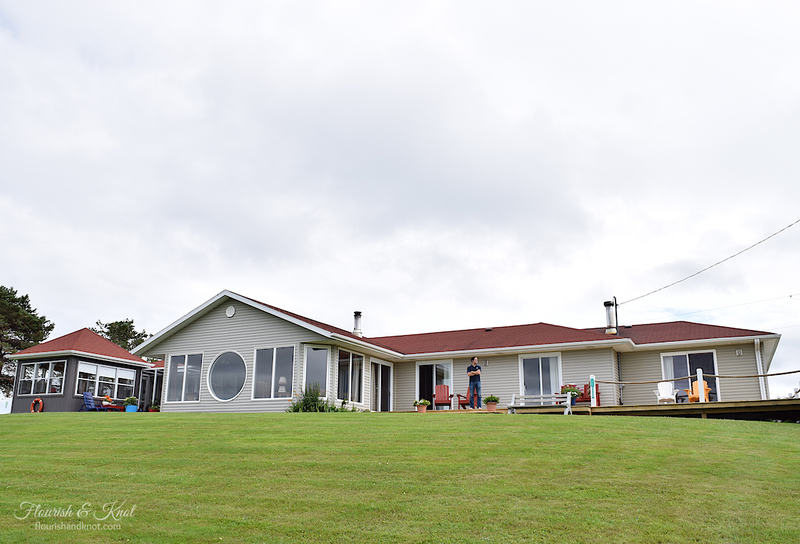 We stayed at Obanbrae Farm B&B, which is run by Dora and Brian. They were wonderful to chat to, and Dora and I had lots to talk about, since she’s a retired elementary school teacher! The B&B is situated in Cornwall, on the working farm which has been in their family for over a hundred years. It was both centrally located and yet totally peaceful. Dora’s breakfasts were delicious and she even had some extra baked goodies for when we came home in the evenings! I’m so sorry that I forgot to take photos of their lovely B&B. Next time! We took a drive into Victoria by the Sea, which is about 20 minutes from Cornwall. I’d been to Victoria a few times when on holiday with my family, but I had never had much time to spend there. We ate at the Lobster Barn Pub & Eatery, and had very tasty, if simple, sea fare. The portions were generous and the price was right! We enjoyed our evening in Victoria so much that we decided to spend the next day exploring its shops and beach. Of course, I’ve already promised another post entirely dedicated to the antiquing, shopping, and artisans, so never fear: you’ll hear all about that! If you haven’t already done so, I’d really appreciate your feedback in my 2015 Reader Survey. It won’t take long (it’s only 10 questions!) and it’ll help me to improve Flourish & Knot. Click here to take the survey! This post was featured at Home Crafts by Ali! Blogger Brags No. 89 | Our 2nd Anniversary! 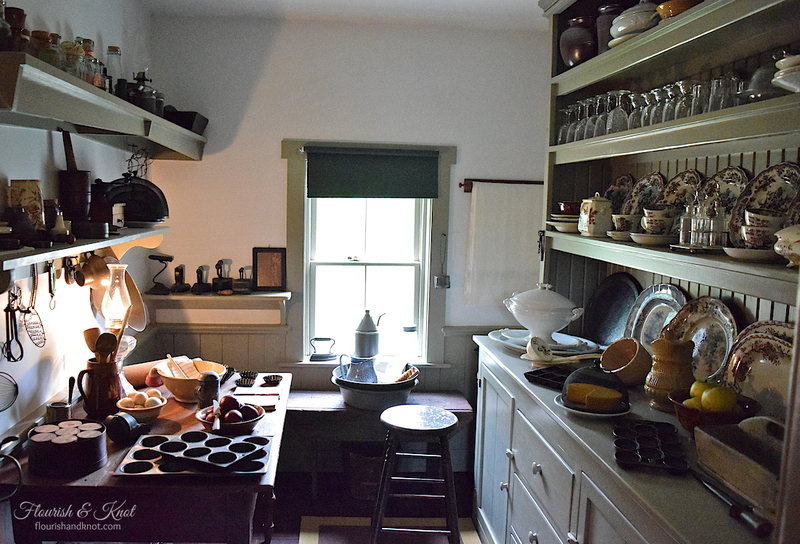 PEI: Pottery and Antiques and Artisans – Oh my! Beautiful pictures!! I’ve always wanted to go to PEI since I was a little girl. Being a freckle faced redhead I always loved Anne of Green Gables. Hahaha Mel! I was explaining to my husband that part of the attraction of Anne is that there is a little bit of her in us all. Thanks for reading! My sister (also a redhead) and I loved the Anne of Green Gables movie too. One day at school (she was in kindergarten) they were studying emotions and the teacher asked the class if they knew what it meant to be sad. My sister raised her hand and said it meant to be in the “Depths Of Despair”… she was 5. The teacher then had to have a talk with my parents and they explained she loved to watch the Anne of Green Gables Movie with our Grandmother. AH! I love this! Thanks for sharing! Your pictures are beautiful! 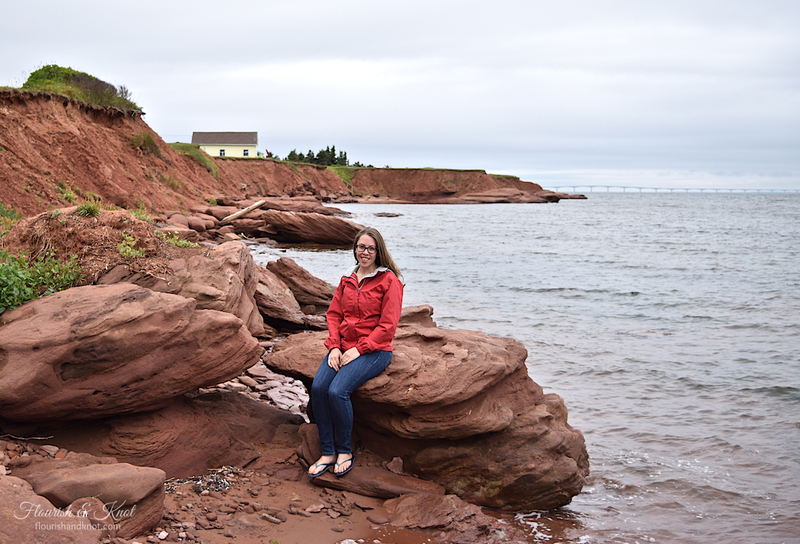 Me and my mom have always wanted to go to Prince Edward Island every since we would watch Anne of Green Gables when I was younger. I hope you do get there one day! It is a beautiful and relaxing place to visit. And plenty of “Anne” stuff to do! I just love that Entry with the gray/yellow. I’ve not been to to PEI but was just reading about it! Looks like a gorgeous place. It really is and I hope you get to visit someday. 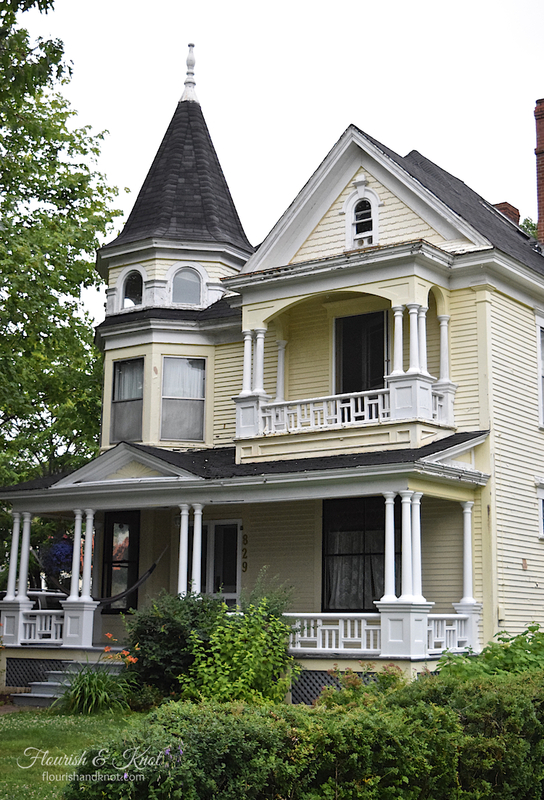 I love your pictures, especially of the Victorian houses! They were so stunning – what a beautiful neighbourhood. Thanks for reading! I really enjoy reading about your travels. 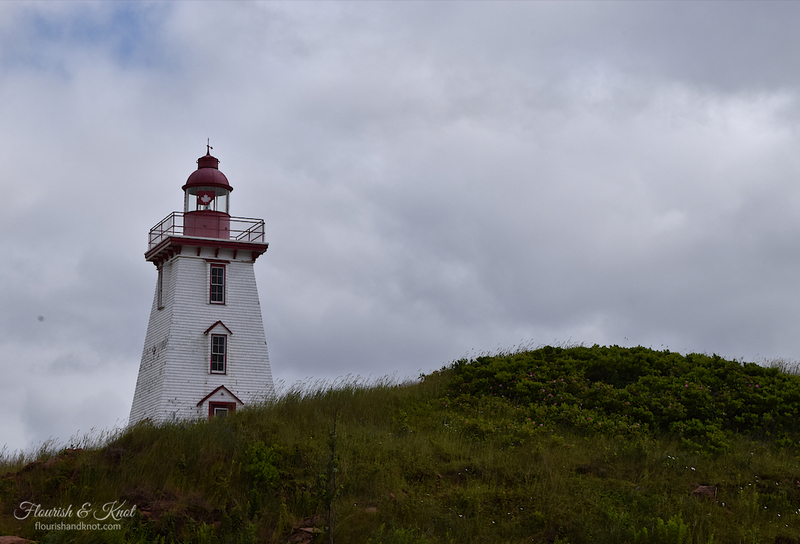 We did a similar tour of Nfld a couple of years ago, and driving around between small coastal towns is a great way to do it. I studied for two years in Fredericton and know NS fairly well, so I guess PEI is next. I look forward to your shopping adventures. Thanks, Hilda! I’m so glad you enjoyed the post. 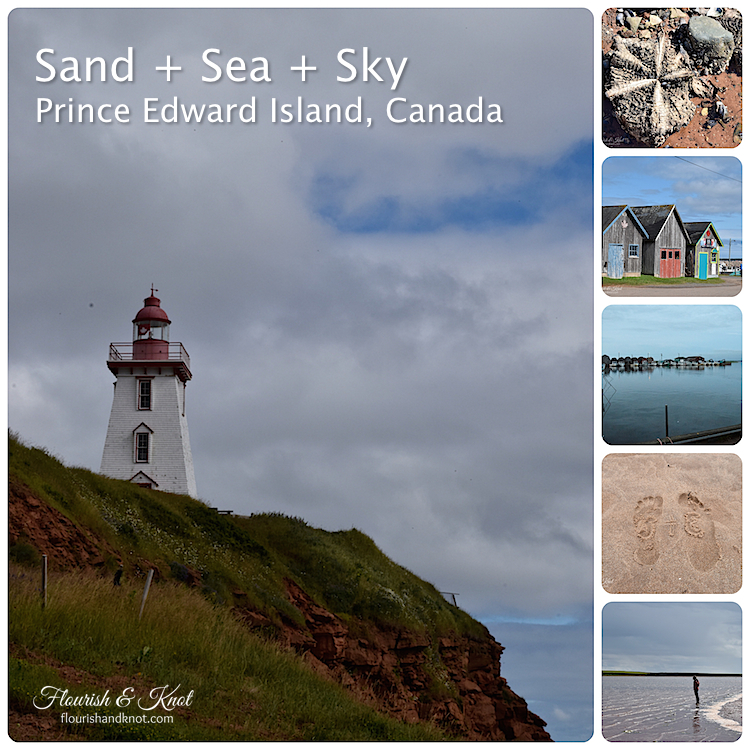 You should definitely make a trip to PEI – it is well worth it! Thanks, Lisa! I hope you’ll have a chance to visit PEI at some point. Glad you enjoyed the pics! Thank you so much Sarah and Erick for staying with us while visiting PEI ! You are a talented couple and we wish you all the best with your work, and may you have many more great adventures. We are wondering if the Anniversary surprise included fishing? Hi Dora! The pleasure was all ours. We’ll definitely be back at some point! Unfortunately, the anniversary surprise was supposed to be a cute little historic inn in the Bas Saint Laurent, but it turned out less than stellar so we hit for home instead. I cooked an all-Scandinavian meal for my Swedish aficionado, instead! Absolutely charming! Love the homes. I’ve never traveled to PEI, but it’s definitely on my bucket list! Thanks so much! I’ve missed being at FF these past few weeks… But I enjoyed my little self-imposed blog holiday. 🙂 NFLD is probably my favourite province to visit: I highly recommend it! Do it! 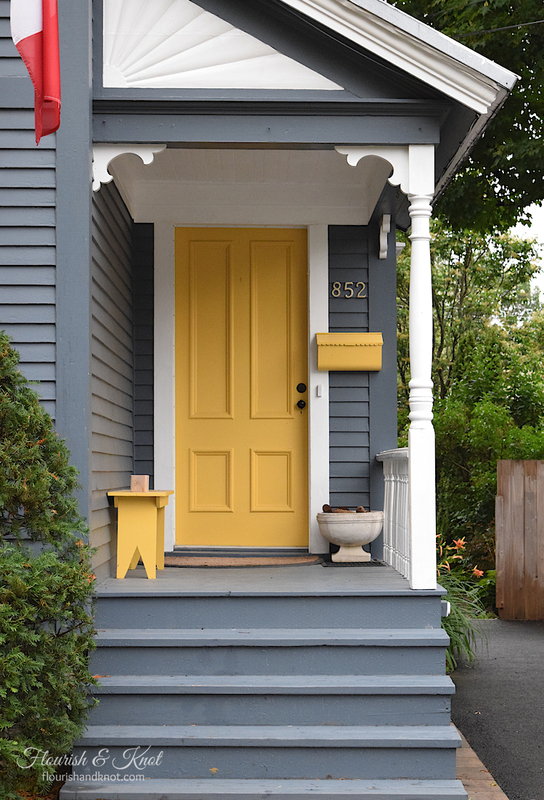 I love a good yellow door – instantly cheerful and welcoming! Thanks for reading! Okay, but when I do it you’ll have to explain it to my husband, lol. Thanks so much Wanda & Hilary! The pleasure was all ours and we will definitely be back someday. This looks like such a neat place to visit…or live! I love all the architecture!! What a beautiful place to visit! Gorgeous pictures! 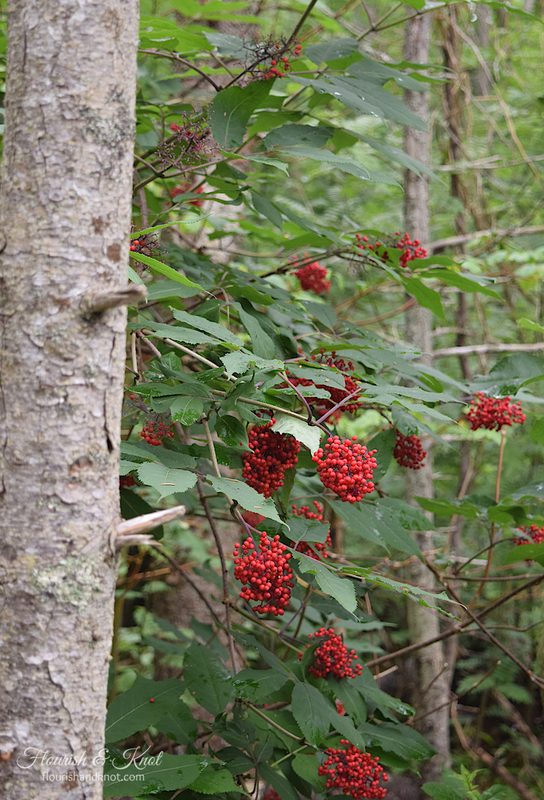 Thanks for sharing it with Thursday Favorite Things! Have a great weekend! Thanks for stopping by! Glad you enjoyed the pics. 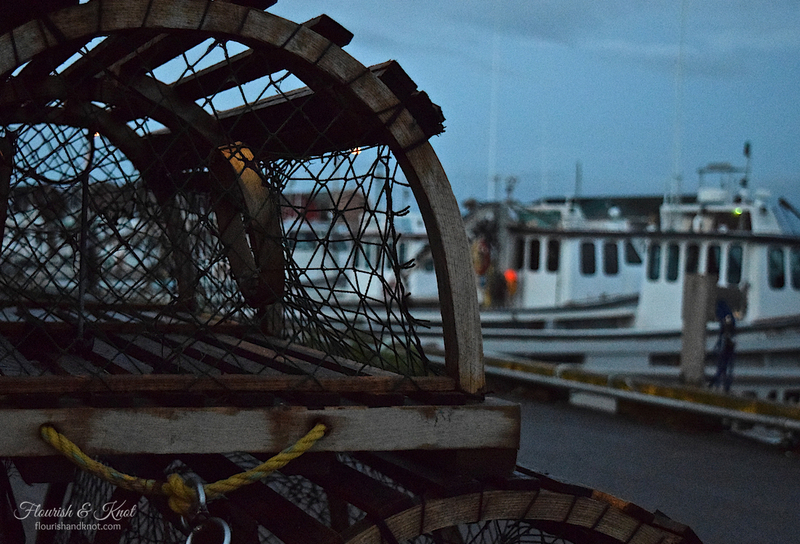 PEI has always been a place that I wanted to visit. 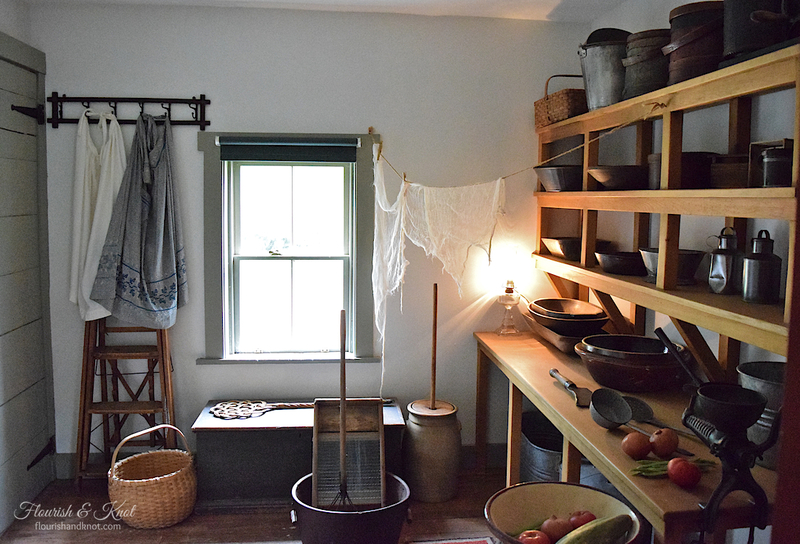 I read the Anne series every year, so seeing pictures from the Historical Site was wonderful. I featured your post on this weeks Bloggers Brags. Hey thanks, Aliza! Can’t wait for our post exchange! !